Pros: Setup and maintenance is a breeze. We typically have one administrator look things over about once a week, and tools like mass importing and exporting of users and API integration options keep everything up to date. Motivosity also adapts to varying budget constraints. You can spend as much or as little as you want to administer your recognitions and awards. Motivosity seems so simple of a tool for the amount of benefits it offers. Cons: Since Motivosity is relatively new as a product, there are some features that would be nice to have, but aren't available yet. Luckily, since it is so new, the product teams are very responsive to requests for features. Overall: We started using Motivosity as a replacement for our previous employee recognition program (which consisted of hand written notes available for employees to fill out at the front desk). Motivosity is far and away the best tool we've used to increase employee engagement. It has changed the way we work in a few different ways: it helps employees recognize and reward each other for help given; connects like-minded individuals throughout the company in things that interest them; helps managers keep track of important dates on their teams (birthdays, work anniversaries, etc. ); acts as a searchable company directory, not only for names and contact info but for skills and job responsibilities; gives managers insights into how their employees personalities affect their working relationships; and the list goes on and on. One of the biggest benefits we've seen is the cultural inclusion of our remote and international employees. It really shrinks our corporate world so employees across the world feel like they're in the same building. Recently departments besides HR have been using Motivosity to facilitate company-wide rewards for participation in software testing, marketing feedback, and more. Motivosity is a very easy way to incentivize employee participation in those projects. New features are being added all the time, so the software's value keeps increasing while we use it. Most importantly, Motivosity is actually used by our employees. A lot. Their interest hasn't fizzled over time, even without constant reminders or initiatives to increase usage. Once Motivosity got going it was self-perpetuating. Recommendations to other buyers: I love talking about Motivosity with other professionals in my field because I feel like I'm bragging. It definitely puts our company ahead of the game in terms of employee value, especially when talent can be scarce. Overall: I have used Motivosity for over a year now. As a VP, Human Capital my main goal is to optimize the talent pool. In everything from retaining key players, to creating an atmosphere of gratitude and high performance, I need tools that help with this focus. Tools that are easy to implement and get everyone involved are critical. Motivosity was introduced and stuck instantly. With the support of Sr. leadership and a culture of high performance, this was a great tool to publicly reward top performers, show that our company cared, create relationships and interactions cross-departmentally, etc... This tool got people involved with each other and allowed us to clarify and drive a culture that focused on revenue generation and top line growth. This tool does not create a culture, but it definitely helps in sustaining the culture we wanted. I would highly recommend it! Recommendations to other buyers: I would, without hesitation, recommend Motivosity as a very strong tool to build and grow a company culture. It provides the opportunity to reward and share experiences with each other. It brings the company closer to each other by breaking down barriers and increasing communication. It is not just a cool fad, but really drives to the psychology of people and their need to feel important, given affirmation, and give to others. All of those create a happier work experience. - Sometimes I wish motivosity would "nudge" or remind you to think about someone who did something for you. I do a lot of last minute projects and most of the time, people are super generous and show their appreciation but sometimes I don't hear anything. I know it's a little entitled to expect moto bucks, but I know some departments in my company are notorious for not using moto bucks at all, which is a little discouraging. - the milestones and org chart are pretty lame. - there's really nothing to do of interest in motivosity except give money and cash out. Overall: I've loved using Motivosity to instantaneously show my appreciation to my coworkers, even for simple things. I also love receiving Moto bucks; it totally makes my day. Motivosity is one of the features about my company that I always talk up to friends and family. It's a really fun and smart service that I love. I find myself wishing I had everyone I know attached to my Motivosity account so I could send a dollar here or there to someone who did something nice. I find that I just go to Motivosity to only send, view, and cash out on rewards. The surveys don't really tell me anything and the leaderboards don't mean anything to me because I don't know how it's calculated. I just know you probably get points for sending and receiving, but for those of us who aren't manager and above and only get a certain amount to give, it's pretty limiting. A while ago I did notice a bunch of typos and grammar/spelling issues on your website, so I sent an email to some generic address I found on the website saying that someone in Marketing should probably fix the issues I found. Someone actually responded and I don't know if they fixed them, but the website does look much better than it did a year ago. Pros: simple, easy to use. Allows for 360 degrees of recognition, meaning that not only leaders recognizing reports, but peers recognizing peers, reports recognizing leadership. Despite what some people think, as a leader of people, we like to be told we're doing a good job too! Cons: When filling out the profile, it would be nice to have the system have a pop up window or highlight the areas in red that were not filled in correctly vs. just freezing and not allowing the user to complete. This would reduce the frustration of when a new user is trying to fill out the profile and gets stuck. Overall: One of the cheapest ways to motivate and empower employees is to say thank you. Too often we grateful to someone, but fail to actually express the gratitude. With Motivosity, it is easy to express thankfulness. The features of Motivosity allow for the user to quickly find the person they want to thank and then within 30-60 seconds can type up a quick thank you. It can be as simple as a "thank you for being you" or as elaborate as you want it to be. The system allows for people to be involved at the degree they feel comfortable and not forced to fill out a long form or make their gratitude fit in to someone else's format. Additionally, we've used Motivosity to create fun games within our institution, with March Madness, we implemented a bracket system with departments that recognized and encouraged our people to complete their profiles, look at other people's profiles, to read the notes sent and to send recognition to other folks. This got everyone involved and allows us to realize shared interest in people who may not be geographically located near us. This has increased the "human" aspect of our jobs and formed connections between people and departments, which leads to greater respect and collaboration. I've really enjoyed the simplistic nature of Motivosity and look forward to seeing how the program evolves going forward. Recommendations to other buyers: We created a game within Motivosity for March Madness. It would be nice if Motivosity would create games or other ways to keep users engaged through different months. The concern is how to keep employees motivated to continue Motivosity after the initial ramp up...with monthly games or additional content, we could continue to promote internally. Pros: Motivosity allows the people in my department to give and receive thanks/recognition for individual and group contributions. It's a versatile tool. 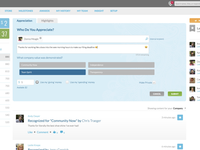 I like how my organization has been able to tweak the user interface so that we can offer kudos according to our six company values (Service, Professionalism, Leadership, Innovation, Community, and Excellence). I like the Badges capability, although we don't use it as much as we could. The Interests and Personality widgets add a even more usefulness. I also appreciate the option to send the recognition in a public or private message. Cons: I hate popups with the passion of a thousand fiery suns. So when I sign in and a popup invades a big chunk in the center of my screen, asking about whether I've received recognition for my work in the past few days, it's not a positive thing. I'm not against filling out a brief survey for that purpose, but that delivery method irks me. It's probably something that can be adjusted by the person(s) in my department who manage the user interface. Overall: Despite the one annoyance I mentioned above, I heartily recommend using Motivosity. It makes it easy to express gratitude, and offers one more meaningful way to interact with my co-workers. Pros: Before Motivosity, we would recognize our Associates that required a lot more administration and we always found that people would come and want to exchange their gift for something else. This product has made it very employee friendly as well as added other valuable tools. We solely use Motivosity as our only company org chart and find great value in the personality test and "social media" presence this gives our associates. Cons: My biggest frustration is the customer service, I wish there was a call in number we could talk to someone and fix the issues, instead we must rely via email which isn't as efficient. We used to have other features and granted its been upgraded but there are certain features we need as admin that haven't been added back. I've brought up the concern and the most we have heard is, "we'll look into it". Pros: Motivosity has brought a wealth of benefits to my team and, I feel, the company as a whole. Being able to recognise team members with a dollar here and there is fun and rewarding for everyone. Being able to recognise individual contributors from other teams and have the rest of the company see the great results achievable through greater collaboration shift everything up a gear. Having the ability to see staff as people rather than just a name in an address book also builds bridges, especially in a global organisation where you might otherwise never see a person's face or ever get to find out that you share similar interests and goals. Motivosity does a great gap of bridging the void that existed between company newsletters and social networks. The integration with third party applications has facilitated rewarding initiatives surrounding health and well-being and the multitude of options for 'cashing out' (store cards, pre-paid credit cards, charities) is welcomed by everyone. The interface is intuitive, interesting to explore, and has always been available, fast and aesthetically pleasing. Cons: It's hard to think of any negative points surrounding Motivosity - it has filled a gap and, as such, has only brought benefits. Bluehost Review - Employee Perspective. Comments: We have been using Motivosity for over 3 years. This is Night and Day difference over our previous solution that we were using. One of the many things I love about Motivosity is simply having far more control over how I recognize my fellow employee's. Our company puts in a monthly allotment, I can give that entire amount, or fraction of that amount, and be able to recognize more people. If that isn't enough, and there is someone that really deserves more, I can dip into my own personal balance, and give from that as well. Makes is amazing when needing to truly recognize someone for efforts you feel are actually deserving of the credit. I also love that our company uses this as a means to raise funds for special employee needs. You can set up a donation link, and our company matches whatever is donated to the cause. Another fabulous way to help your fellow employees. All of these have come in the form of a e-card. Delivery is instant, and I am redeeming gifts and purchasing goods within minutes if not seconds of email receipt. I can't speak more highly of this. There are physical cards options, I am just not a patient person and want my goods NOW! haha I have not had one issue using e-gift cards in Physical locations. Printing off, or showing the redemption from my Phone to the vendor has always been successful. I have to say, knowing if a company offered Motivosity as a perk/benefit would be a big deciding factor of taking the job. Kudo's to Bluehost for seeing how valuable this has been, and what a difference it has been to working here. Alex, Thank you so much for your review. We have loved working with Bluehost and are very happy to see that you love Motivosity. Love being able to thank my co-workers using this program. It's quick and easy! Pros: I really enjoy being able to enter my own comments into the thank you box...it's great not being limited to drop down boxes. Also l like how you can make comments private. Not everyone needs to see everything so it's great you can decide if it's public or private. The personality profile is also really cool. It's fun to see other people in the bank who are like me. And being able to change your profile picture. The fact that it's not some goofy profile picture HR plugs in there is awesome...I like that I have control over that. Cons: I still don't really understand how the points work...I am pretty sure you get more points for being thanked vs sending thanks, but in my head that is kind of opposite of how it should be. I know the intent isn't to get Motivosity points but since we do get points I feel like it's a flawed system. It's always better to give then to get, in my opinion anyhow. If you don't use Motivosity are you really working the right job? Pros: I love the idea of Motivosity. I like that we can reward either publicly or anonymously co-workers for anything. As well we can give Motivosity for a birthday gift of to celebrate the arrival of a new baby. We can make it both playful of professional. There is no limit to the usability in the work place. The software itself is both intuitive and enjoyable to use. Overall: I am a die hard user of Motivosity. I love giving "apology" dollars or pooling together for a pizza a few times a week. I see no other product that gets used in the office as often as Motivosity. 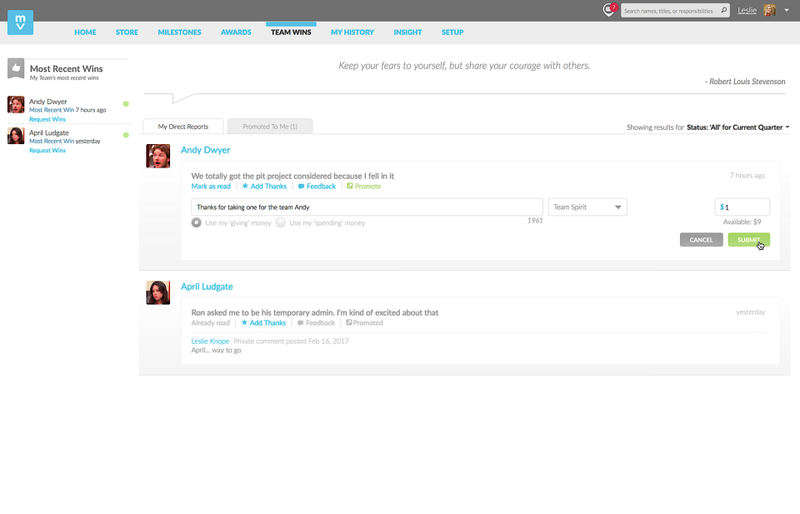 The system is user friendly on both the computer or mobile version. I have never had any "bug" issues. Honestly 10/10 I go home and brag about Motivosity or speak of it as a reason why someone should join my company. It is vital to our upbeat workplace environment. 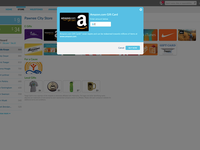 Recommendations to other buyers: add more venders/companys for gift cards. Simple and effective way to express appreciation for co-workers. Like REALLY simple! Pros: Ease of Use and the popularity of the tool within the teams I work with. Makes it simple and FAST to say thanks! I also love the spell check - thanks for that. The feature that allows you to like or comment on a Motivosity thanks is seriously cool. Overall: In a day filled with projects and meetings I can express satisfaction with a peer in just one minute. No need to stop and draft an email - just click into Motivosity and find their name in the drop down. I send them a Motivosity buck or sometimes just the compliment or note of appreciation. Also the tool keeps me apprised of company anniversaries, personal birthdays and other events that are important to the individuals. Also, the badge feature is nice to recognize achievements and certifications that are pertinent to our industry. Awesome recognition tool to use at any company. Pros: I like how easy it is to use and how clean the website is. As an admin, it is very easy to manage as well. Cons: This is a tough one because Motivosity is really an awesome tool. Their Support is a little slow, but they are always there to help with any questions that we may have. Overall: Our company has been using Motivosity for over 2 years. It has been a great tool for our employees to be able to recognize each other and have managers show their appreciation for their employees. Recommendations to other buyers: Being that Motivosity is the first recognition tool that our company has ever used, we made a great pick with this one. It has been a great way to bring employees together and to get to know each other. Any company would be silly to not sign up with Motivosity because we have seen it do great things within our company. Pros: Sometimes none of the project management tools aren't enough to create friendly environment in the company. And of course in overall this affects to company performance and sometimes causes serious damages to corporate image . In order to solve such conflicts among employees Motivosity is the best choice. By providing peer to peer reward system Motivosity encourages colleagues to be more polite and friendly with each other. After using Motivosity our employees learned listening and respecting the views of each other. And overall because of friendly environment in our company our productivity has icreased in a significant level. Cons: Although is a good tool for employee recognition but it can be used for misleading if some colleagues agree to give fake rewards to each other. It is a good tool but needs to be used under control. Overall: I strongly recommend to use Motivosity in order to gain better results in your company. Something new, curious and fun. Pros: When we think about a company and its values, we have a tendency to focus on their professionalism and excellence, but rarely do we wonder about how they treat their employees and how they communicate and organize within their structure. Motivosity is one of those odd but beautifully designed softwares that encourages you to create cordial bonds between you and your coworkers. It has shown to be quite effective in terms of including remote employees into the company's activites, even those who live abroad, creating a kinder working atmosphere. It incentivates the involvement of the employees in a variety of event and projects, that in many cases might have a reward, making it fun to participate. The software's structure is solid, functional and easy to use. Cons: Motivosity is relatively new in the market, lacking many core functionalities that similar applications already have. Although, you can tell by the way it is designed that they will eventually be implemented. Their category system requires more options. Overall: I find it delightful, easy, and fun to use. I believe everyone should give it a try, you might see it lacks a few functions, but I am certain they will be eventually added into the application. Motivosity is the best for employee recognition! 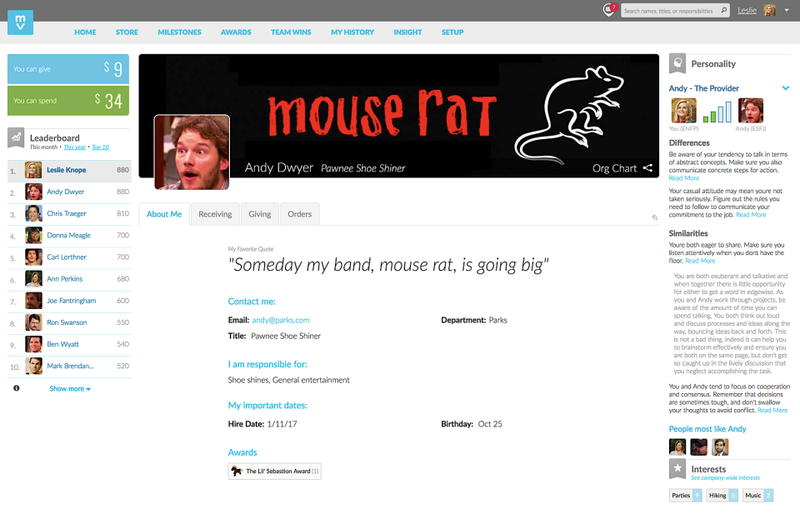 Cons: - Some of the admin features are a bit clunky, like having to go to the org chart to add a new employee. It would be nice to have easier access to admin things. Overall: Motivosity is an awesome tool that helps you recognize employees. It's great to see a Facebook-type feed to it and the awards and badges help build pride. I really love the interest features where I can see everyone in the company and what their interests are. We have created Starcraft groups directly because of that, which helps build teamwork. It's a great tool and I highly recommend it! Recommendations to other buyers: I want all companies to use it! Pros: So easy to use. When you hear "thank you" coming out of your mouth, it's such a quick second step to get on and share it on Motivosity. I see people using the "highlights" tab as well which is really good because we have 4 separate offices over the country and its a nice way to connect. 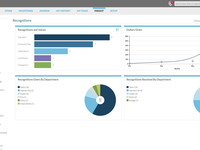 I like the variety of reports we are able to run that we are using for various purposes. Cons: That we were required to load $1 into everyone's account at the beginning of the month. We wanted to set up a experience of giving freely and then at the end of the month doing random drawing for winners. We went over this in the sales phase and told that we could do that - but then after signing the contract found out that we were required to put in $1. This took away from our drawing budget. What we are finding is that the individuals who are truly embracing the software and the concept, are recognizing way beyond the use of their dollar. The people who don't, their dollar doesn't get used and goes away at the end of the month - but we still have to budget for the event that they do use it - so we seem to almost needlessly have a reduced monthly drawing budget. Also, the nomination feature does not allow for a team nomination (putting in multiple names in the nomination line) and our quarterly individual and team nominations for awards is an important part of how we wanted to utilize the software. Overall: We only been on it for a month and a half. Still working out benefits/how it can be utilized. But overall people are using it and enjoying recognizing and being recognized. Pros: I like the ability to send out thank you and Kudos to my fellow workers. I have had some very good feedback from my fellow workers as they say that there day has been made by simple recognition is given. Cons: I actually think that the way money part of the Motivosity has a chance for a negativity toward some individuals. The potential that the more popular Employee gets all the money. I would hate to find out that someone in the backroom never gets recognized and never gets the motivosity bucks. many people give out their $5 and only get the $2 the system generates. Overall: If the Movivosity Bucks are considered a "Bonus" its a sad way to be rewarded for ones hard work and efforts. And once the gift card is ordered, then it will be taxed, where if we had merchandise that could be purchased through a Motivosity/Company store, then it would not need to be taxed. Like the old S&H gift stamp program at the grocery stores. You can save up and purchase nicer gifts or use your Motivosity bucks when you like. Hello Richard! Unfortunately, everything is taxed these days! Monetary prizes, awards, achievement awards, bonuses and gift cards, certificates - including points and cards with point values redeemable toward merchandise - are all taxable compensation subject to federal and state income tax withholding, unemployment tax, and FICA taxes. Motivosity has allowed me to show gratitude and recognition to my hardworking team! Inbound Demand Conversion Manager, Corp.
Pros: I LOVE that Motivosity allows me to create metrics driven goals and team competitions with a reward system that keeps them incentivized and motivated. This software works extremely well in any quota based role! Cons: There is not anything I dislike about Motivosity. I think it would be great if the public feed could be divided by department rather than the entire company but that is more of a requested feature than a dislike. Thanks for the feedback! PS - in the top-right corner of the feed, change the dropdown from 'Company' to 'Department'. Great motivational tool for internal teams to have some fun and boost morale. Pros: Motivosity is such a good idea for a motivational tool for teams I'm surprised it took this long to get something like it to the market. It's always nice to see an email pop up in your inbox saying someone said thanks and appreciates something you do at work to the tune of a few dollars. Probably one of their biggest strengths is that Motivosity integrates very seamlessly with all their reward distributors. It is very easy to redeem their rewards quickly. Cons: Some of the pop up surveys can be a little bit annoying. Overall: We've been using Motivosity for a little over a year now and I think there would be a riot if the company decided to discontinue using them. Pros: I like the tools it offers management and other employees to positively reinforce good work and habits. 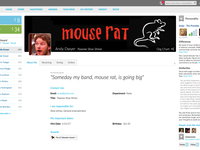 The program is very user-friendly and there are a lot of features to utilize. I like the social media platform that allows everyone to see who's recognizing who. Cons: I like the idea of having some flexibility with regard to the currency we use or making up or own currency. We call our dollars "sealbucks" and just made our own exchange rate, but we did have to set things up so we can work it like this. That's all I got! Overall: Our company is a few months into using Motivosity. So far, we have seen a huge reaction to the program being introduced. Most of the people that are somewhat tech-savvy got on the program immediately, and others followed after seeing what was going on. I think the biggest part we're noticing is that its not so much the prizes or "sealbucks" as we call them that people are interested in... but the recognition and goodwill from their co-workers, as well as the chance to give that good will, that is driving use of the program. It is turning out to be a big positive reinforcement tool at our company, as well as creating a good-vibe environment that allows a chance for everyone to recognize each others good work. We are all very happy with Motivosity so far, and plan to utilize it even more. Motivosity, the best thing since "Thank You" cards. Pros: Easy to use. Oh, and it gives me gift cards to Amazon. Cons: Sometimes when I am typing in an employee's name it won't come up. So I have to try their last name. 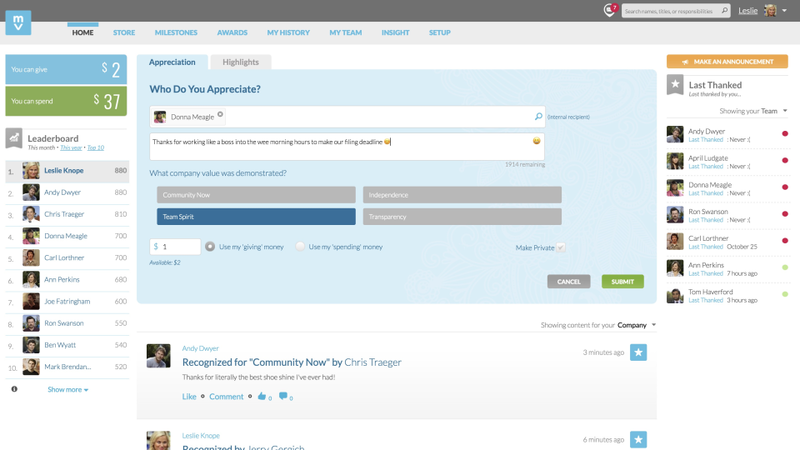 Overall: I love using Motivosity to reward and thank team members with something real. Sometimes people go above and beyond and this is a great way to reward that and say thank you. It's easy to use, including the App. I personally haven't had any experience with Customer Support so I can't speak to that much, but I think that in itself is a compliment to the product. I haven't had to contact CS. I have use Motivosity to incentive my team to make more calls or do more work. Whoever gets the most gets the money. Our MotoBucks are worth more than real money it seems...we cherish them. Recommendations to other buyers: More companies that you can use gift cards with. That would be cool. Pros: I love how Motivosity is an easy to to let employees better understand and recognize your Workforce. This software is an easy way to give your team a voice and allow them to cheer on their co-workers when they shine. Cons: The simple design makes it easy to use, however it also creates some limits in how you can use it. Really you just have one option and it can't be changed. Overall: If you have a low employee engagement and want an easy way to increase and motivate your employees look no further. Overall their features are great and user friendly, some parts need to be updated. Pros: The software uses dollars instead of points like other recognition programs, making it more transparent and the ability to customize items in the store is convenient. Cons: I do wish the live feed would refresh automatically. I understand why it doesn't but it would be nice to consistently see updated news instead of having to refresh it. I would really love to see the option to create our own survey for just our company to streamline everything into one program. Thanks for your review of Motivosity. To your comment, "I would really love to see the option to create our own survey for just our company to streamline everything into one program," as a company you can replace the standard six survey questions with custom questions if you choose to. Our client success team can help you set it up. Thank you for your business! Pros: Simple and easy to use. Really makes a difference when people are recognized for small or large efforts. Cons: Getting the Visa card was a bit of a hassle. I think it had to do with a 3rd party taking care of the gift card. I ended up getting it in the end but the process was a bit burdensome. Overall: It is great working with great people. What makes it better is being able to recognize their personal and professional efforts in the workplace. 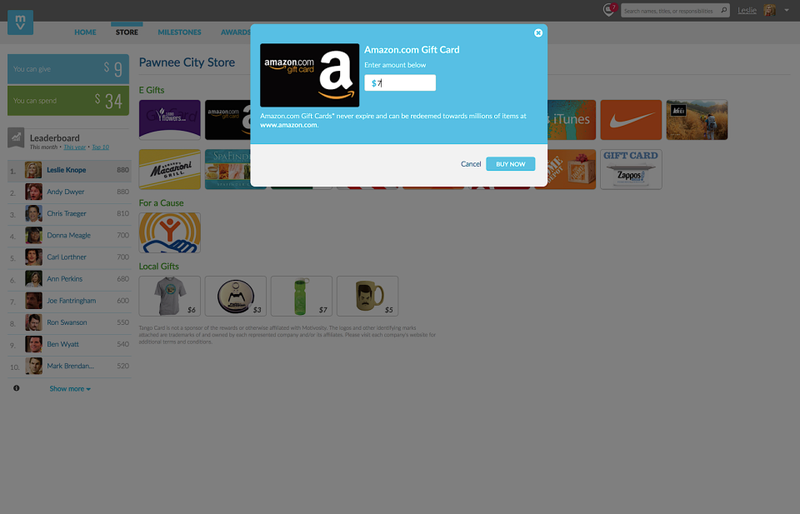 I also love the ability to grab a gift card easily or even donating to my favorite charity. Recommendations to other buyers: Perhaps you could add more vendors to the list. Another idea could be to have some integrations with business systems that make it even easier to use and recognize the people you work with. Pros: I love the ability for all employees, from any level of the organization, to recognize the work of others using the Motivosity platform. The microbonuses help, but the recognition is even more important. We also offer weekly incentive-style spot bonuses for employee sharing on social media, and actions that espouse the company values. It's a fantastic platform and I'd highly recommend it to organizations of any size. Cons: I wish this were integrated into a primary HR platform (like BambooHR) for consistency in reporting and a single view into the health of the business. Michelle, thanks for your review of Motivosity. Responding to your last comment, we now have an integration to BambooHR. 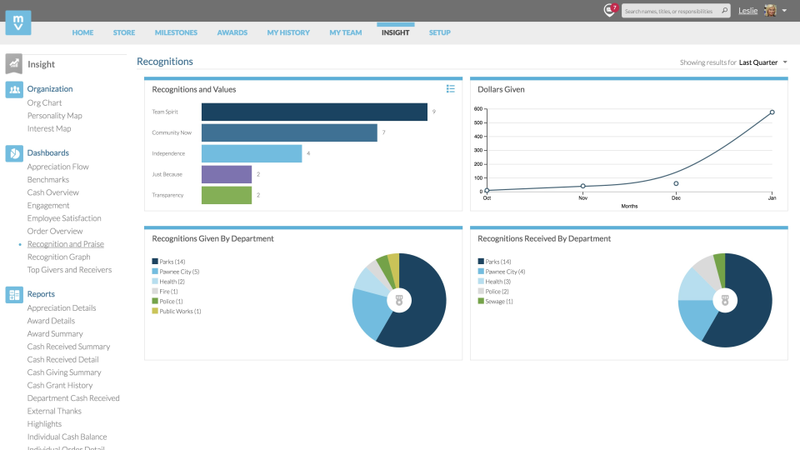 Our customer success team can help your administrator get it set up. Thank you for being a customer. Overall: We work for an amazing company that hires amazing people, however sometimes someone goes above and beyond for you and you just want to thank them with some more firepower. Motivosity excels in this area and makes it so easy to show how much you appreciated someones efforts on your behalf. I love this program and it's really helped endear me to my current company, Health Catalyst. Motivosity is the best! It's such a great way to get to know each other at work. Pros: There are a ton of pros! It's really user-friendly. It's a fun way to show appreciation and get to know everyone. Motivosity matches you to others that have common interests and similarities which helps you get to know everyone in the office. Employees love that they can cash out their money and get fun gift cards. Also, Motivosity has great customer service. If I have a question or issue they are always quick and get it fixed. Cons: We have had a few problems where employees have tried to cash out their money and it wouldn't let them. Pros: I love that I can communicate with anyone and say thanks for things that may have gone unnoticed without Motivosity. I really have had a better work experience knowing that other departments care about what I think and what I say. Cons: You can leave comments, but they don't really follow an order like they do on other social media sites. The comments read from newest on top to oldest on bottom, but if I reply to someone's comment, it puts my reply above theirs. Not a huge issue, but something I think could be easily fixed. Cons: The least which I liked about this software is the amount of $ we have for a month as I would love to give $ to each people who have helped me but I have only $5 to give . Other than that there is no cons of this software according to me. Overall: Overall, I'm very satisfied with Motivosity. I think it's a great tool and I love how me and my team use it on a daily basis to recognize awesomeness in our organization. It's easy to use and helps us to remind our team members of our company's values. I seldom have team members who don't know all of our values ("COOTIES") as a result. Thank you for building great software! Great way to motivate and recognize employees! Pros: Motivosity is a very versatile platform that provides all employees with the ability to thank and recognize those around them. We've noticed that it's a great way to offer incentives and help people feel appreciated. Also, there are so many great awards to give from gift cards to donating to charity. Cons: There aren't a lot of cons. The only issue we've run into is that money has "disappeared". For instance, one morning all our management team's accounts had been drained, but no purchases had been made. Luckily, Motivosity's customer support is great and they were able to fix the issue in less than 24 hours. Overall: Better rapport with our employees and an easy/safe way to offer incentives. Pros: I think Motivosity is very easy to use! I tend to help others more and use it everyday! This is a great program for moral in the company! Cons: I think sending money on comments should not be limited if there is a group thank you! Money should be available to send to groups if you have it not just individuals! Overall: I am able to cash in Motivosity money received for gift cards that I like. Our company provides us with a few $ per month to send to others in the company. Also, for Birthdays we get Motivosity cash. Managers can send money to employees as incentives! Thanks for your review. Motivosity money can be given to multiple people simply by including each person's name in the "Who do you appreciate" line. Each person will receive money as part of the appreciation. Pros: I like that every month (at least with my organization), we receive $5 that we can use to gift to colleagues in minimum $1 increments to recognize them for positive contributions. You can leave them a friendly thank you, a birthday wish, or just a general appreciation and others can like and comment on the recognition. I also like that there are regular, couple question, anonymous surveys that inform management of things like job satisfaction. Redeeming rewards for a gift cart (countless options) is also extremely simple. Cons: I have very few dissatisfactions with this software. The only one I can think of is with the notification system. You can see a notification of who liked or commented on your appreciation but you can't see which appreciation. I would like to know at a quick glance which posts are being commented on. Cons: i don't have any complaints, the product is pretty solid, the updated that have done with the way it looks could be touch up a bit but other than that its great. Overall: i get to see my whole company roster and team. Pros: This software is very easy to use: takes little to no introduction to figure out how to use it and start recognizing and sending thanks to your colleagues. Cons: Nothing. I love it! When I first used this 2-3 years ago, I couldn't figure out how to use the Store option to redeem Motivosity cash, but the design has improved a lot in that time. Overall: I like to make sure I'm telling others "thank you" when they've done something to help me out in my job, did something awesome for me or others on my team, or just because they've done their job well in general. Motivosity helps me to do that and so much more! I can thank them in person, but this allows me to give something once in a while to show I really mean that thanks - even just for the personalized note I can send! Easy and fun to use system that employees will naturally use. Pros: It's so easy to use and the interface is intuitive enough that when I would train employees on this we'd just demo live and let them click around and they could almost always figure things out on their on. Cons: We ran into some glitches on the back-end and especially had issues with integrating with other systems. Also we didn't need customer support very often but when we did it was super difficult to get anyone and to then get them to work through an issue to resolution with you. Pros: Ease of use, nice and easy interface, good rewards. Cons: "like" updates on posts or comments are often wrong, often showing that I liked my on post when I did not. Overall: Motivosity is a great improvement from a previous site we were using. We can easily recognise and reward our employees. The fact that we can actually give money rather than some sort of "points" with little to zero value in real life is for us a great motivator. It becomes fun for manager to reward employees because we can give recognition and/or money rewards based on what we want to give them 1$-2$-10$ you decide, no more being stuck with giving the same amount of "points" all the time. Thanks for your review! This "Like" error is a new issue to us and if you send over more information to support we will get it fixed ASAP. MOTIVOSITY: an ingenious way to give my staffs pat in the backs without having to leave my office. Pros: All postings can be seen by everyone we've enrolled in Motivosity & staffs don't feel invisible anymore. Pros: The best thing about Motivosity is that the recognition that you are giving to your peers is with real money and I think people really appreciate getting a "thank you card" with real value attached. Reminders make sure that you are putting thought into your "thanks" each month. Cons: I wish that the money would roll over month to month and that you could also be given the option to send someone a gift card, that might make it more personal than the $1.00 or $2.00. If you had the ability to give a larger amount and personalize it as a gift card that might be an additional perk of the solution. Overall: It really is a great way to express your appreciation to your peers. I love Motivosity! This has helped create a culture of appreciation in our company. Pros: I love that our company is using Motivosity. The program has really helped to create an attitude and culture of appreciation and fun. I personally love to be able to send someone a thank you that is more than just words, but also a little bit extra to really show much I appreciate what they do for me and the company. I also really love that everyone in the company can see the appreciation because it really helps drive the culture we are working to build. Cons: I love Motivosity so much, that I can't really think of anything that I don't like. My only thought is to keep adding more gift card options. Pros: As an employee, it was great having this around to send a quick buck or a thank you note for the tiniest things. Knowing you might have made someone's day also give yours a boost too. The moto bucks idea is smart and cashing them out was a definite highlight after a long day at work. The gift cards are delivered almost instantly and are a sure-fire incentive so kudos to the company for that. Also, being able to send appreciation privately is a nice touch. As I was working in a remote company at the time, Motivosity really helped tighten the team and keep everyone in the loop for birthdays, anniversaries and other special dates. I also appreciated being able to send a little something to people in leadership roles as they're rarely included in employee note-swapping. Cons: The UI could still use some fine-tuning but they've evolved a lot and will probably tidy things up over time. Some of their messages are oddly invasive and the commenting system doesn't seem to have a logical order to how they're displayed. Overall: Fun and motivating way to show appreciation without sending an email or awkwardly trying to tell them in person. Pros: What I liked the most is how you can visualize the collaborators praising themselves, sharing their victories. Besides all this, you can redeem points and real money! It is very cool!!! Overall: The overall experience is wonderful. People exchange experiences, praise each other and you really feel motivated when you receive 1 motivosity. The whole company has this visibility, I'm loving it. Pros: The most successful organizations are characterized by having motivated employees who are able to harmonize and collaborate with their different work teams, to achieve it, nothing like Motivosity software, which facilitates the means for organizations to achieve the environments that allow them to develop maximize the capabilities and dreams of your employees. Encourage healthy competition, leadership, teamwork, recognition among peers, all that and more will be at hand when the dates and achievements of their employees are valued and celebrated by their peers. Cons: In order for organizations to get the most out of their tools, each and every member must understand the general functioning of the platform, the reasons and reasons for using it, the advantages for both employees and organizations, among others. , otherwise, it is easy to devalue the reasons and motives of the insentients. Love using Motivosity to reward and show appreciation! Pros: Motivosity allows me to show appreciation to everyone on my team (and others outside of my immediate team) when they go above and beyond their role and responsibilities. It's simple and cost-effective, and it's constantly used by our team when asking for favors. Everyone is encouraged to show more gratitude because they are required to give their allotted dollars each month or else they expire. There are tons of options when it comes time to cash out your earned dollars for a reward. Cons: Only wish we had more $$$ to give each month! Overall: Motivosity is simple and easy to use, they even have a Slack integration which I'd like to use more frequently. Pros: It notifies me of b- days and anniversary. leader boards. Cons: "whats new new highers"
Overall: I work at Bluehost and they used to have achievers (terrible). Once we got Motivosity it was like "seeing the light" I use Amazon all the time. And when we run out of "moto or moto bucks" we can still give out fund messages. Recommendations to other buyers: I would like prizes for getting first in the company on the leader board. Motivosity is so easy to use and it's one of my favorite ways to reward hard working agents! Pros: I like that you can give both your giving and spending money, in case you think someone deserves a little extra and you don't have enough. This is an awesome way to incentivize people and recognize those hard workers out there that go above and beyond. It's awesome to have a personal way to show your co-workers how much you appreciate them. Overall: This is an awesome product for recognizing the people on my team in a more personal way for all of their hard work. Pros: This is a software that makes coming to work more fun. Mottobucks have changed the game in the world of millennials. Motto bucks gives workers motivation to do their job and do it well. Cons: Maybe a few more emojis to use in your note when you give out mottobucks. Pros: ease of use. stats / metrics / info dashboards. Being able to look up team members and get useful data. Cons: It seems to be changing frequently right now. Overall: We love Motivosity and have seen it connect our employees in unintended ways. For example, the touch points it provides our international employees has been fantastic. Pros: It is very satisfying to see people who aren't always in the spotlight, receiving so much appreciation! The fact that senior leadership is able to see what departments are happy, and who might need a little morale boost, is amazing. Before, we had no way of knowing, therefore no way of improving areas that may need it! As a supervisor, I love not only showing my employees appreciation, but letting the entire company know what a great job they are doing. On a personal note, the gift cards are so exciting to be able to choose from! Cons: I wish there was a "save" button while updating your profile. Anytime someone is updating, if they leave the page for any reason, the partial update shows up on the home page. Overall: So far people seem to really be enjoying the software. It's nice to see people that are usually very shy, giving shout outs to their peers. It has freed up time and giving senior leaders a much better idea of what is going on in the company. Pros: I like the main feed where you can see what your peers are being praised and rewarded for. It's inspiring and gives you something to work towards. Cons: I don't love the frequent surveys that pop up asking about your job satisfaction, but I'm guessing those are customizable per instance and can be turned on/off by an admin. Overall: The interface is super simple and easy to use. You can instantly tell how much money you have to give and how much you have to spend. And I like to give more than I spend - it's really easy to switch over from available balance to your own rewards in the giving interface. It's also just really nice to know you have an extra way to say thanks above and beyond the words.